During the past two and one-half years, our District, school board, and members of our two planning committees have met, researched, toured facilities, and studied the needs for school and community programming. The results of these efforts is what we call the Watchdog Legacy Project. During the past five weeks, this information has been shared in the Beresford Republic. This same information has been shared at school board meetings, and also via our District website, Watchdog Legacy Project webpage, and at our May 12 Watchdog Legacy Project Community Presentation at the Bridges. The Watchdog Legacy Project meets our tradition of school and community service and the long-standing needs of our school district and community while emphasizing Beresford School District’s four Pillars of Academics/Achievement, Fine Arts, Athletics, and Servant Leadership/ Distinguished Service. Our District’s Strategic Plan and Watchdog Hall of Fame are both based on the four pillars and the Watchdog Legacy Project is integral in our progress toward meeting our mission, vision, and goals. 1) The project will serve as a tremendous “educational resource” for our students, which will expand what our students are able to do academically and through their participation in school-sponsored co-curricular activities. 3) The project will serve as an outstanding “community resource” as well by engaging our stakeholders and allowing them access to and use of our outstanding facilities for school and community programming. · 47,000 in new square footage. · 3,800 in remodeled square footage. · Student Commons/Lobby—3x existing space—with restrooms and secure entrance. · Grace Kennedy Center for the Performing Arts—west of the Commons/Lobby. · Auxiliary Gym—south of the Grace Kennedy Center for the Performing Arts. · Community-access Fitness Center—south of Auxiliary Gym. · Hallways for Easy Access. How Does the District Intend to Pay for the Watchdog Legacy Project? During late spring and throughout this summer, our Watchdog Legacy Project Committee has been meeting with area business leaders and individuals in our community to introduce the project and visit with them about our need. As of Thursday, July 12 the Watchdog Legacy Project has received pledges, gifts, and/or cash donations in the amount of $497,630. Pledges can be made to support the Watchdog Legacy Project in any increments up to 10 years. The Watchdog Legacy Project Committee is hopeful that additional pledges, gifts, and/or cash donations will be received prior to the August 13 school board meeting. If you would like to make a pledge, gift, and/or cash donation, please contact Beresford School District Superintendent Brian Field or Business Manager Jared Olson. Their contact information can be found at the end of this article. The Beresford School Board would like to see a target of $1.5 million raised in pledges, gifts, and/or cash donations prior to adopting a bond resolution at their August 13 board meeting. The Board would like to schedule the District’s bond election on Tuesday, October 2 following Beresford’s Homecoming/Watchdog Hall of Fame weekend but that will not be officially decided until the community capital campaign progress update is shared with the Board on August 13. The Watchdog Legacy Project Committee will soon be rolling out their theater seat campaign. 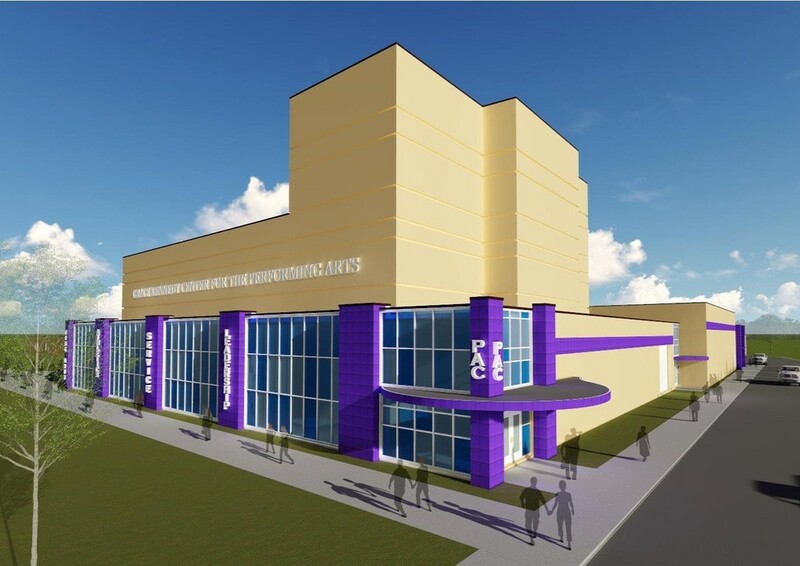 The Performing Arts Center will have 750 total seats with 600 on the floor and 150 in the balcony. The Committee intends to sell the seats for $1000 each so that $750,000 can be pledged, collected, and added to the Community Capital Campaign for the Watchdog Legacy Project. Beresford School District’s current valuation for 2017, payable in 2018 is just under $496 million. This includes property categories of Ag, Owner Occupied, Other (Business), and Utilities in the counties of Clay, Lincoln, and Union. The total valuation in Clay County is just under $104 million; Lincoln County is just under $164 million; and Union County is just over $228 million. The following table highlights the total value of assessed property in the Beresford School District based on the property categories and counties. Based on Architecture Incorporated’s estimate of the total project cost, our District’s current valuation, and interest rate information received from our bonding agent DA Davidson, an $11 million bond paid over 20 years amounts to a levy of $1.52 per $1000 of valuation. The levy is the same for all property categories including Ag, Owner Occupied, Other (Business), and Utilities. The following table highlights the impact of an $11 million bond on taxpayers over 20 years. The following table highlights the impact of an $11 million bond on the average assessed value of Ag land per acre over 20 years. Information on the Ag Property Average Assessed Value per Acre in the Beresford School District was provided by the Equalization Offices in Clay, Lincoln, and Union counties. Our District’s total valuation has been going up each year and as a result, the levy per $1000 should go down each year over the course of the 20-year bond. If you have any questions about the Watchdog Legacy Project or contents of this information, please stop at the south campus business office and visit with Superintendent Brian Field or Business Manager Jared Olson. Also, please feel free to call either of them at 605-763-4293 or email them at Brian.Field@k12.sd.us or Jared.Olson@k12.sd.us.